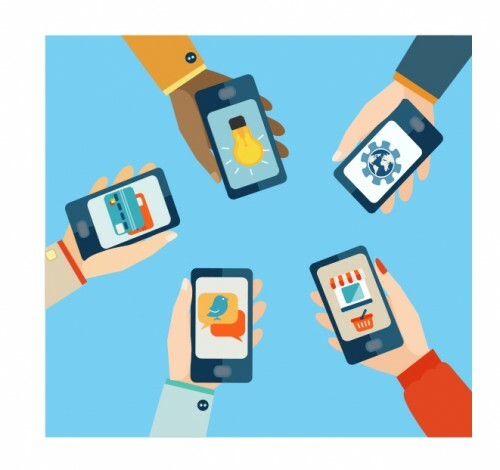 Smartphones and tablets have transformed our lives – and while consumer apps attract lots of attention, apps that have been developed to save you time and money at work can prove even more valuable. With this in mind we found an abundance of fleet-related apps on the market today. Some are standalone apps while others integrate with wider fleet management systems to offer greater workflow efficiency savings. 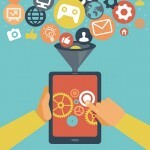 While one man’s trash is another man’s treasure, we thought we’d take a closer look at some of the types of apps that can make life easier – and business tasks quicker – for both drivers and managers alike. Regular, auditable, vehicle inspections are a cornerstone of fleet management best practice. Dedicated mobile apps, such as AllOnMobile or CSP Plus, can streamline and simplify the vehicle inspection process, reducing paperwork and allowing drivers to report on the condition of their vehicles, complete safety checks and submit inspection reports. Inspections can be scheduled, and in some cases, workers will only receive their daily work schedule on their mobile device once their reports have been submitted. Maintaining accurate driver mileage records is an important administrative task for claims reimbursement, management reporting and tax compliance. With the Department of Transportation and Department of Revenue placing business mileage records under serious scrutiny, firms must have robust systems in place for accurate mileage capture. TomTom Telematics research revealed that more than a third of drivers admit to submitting false mileage claims. Apps are now available, such as WEBFLEET Logbook, to make it easier for drivers to keep an accurate log of their business/personal trips, and update company records, using their smartphone. Telematics software systems were traditionally only accessible on an office PC or for SaaS systems from a laptop. Apps can now give business mangers the flexibility to monitor their mobile workforce and access essential fleet and workflow information regardless of whether they are in the office, at home or on the road. 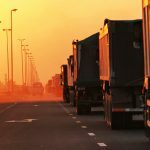 Locating the nearest service stations when you’re out on the road has long been a function of satellite navigation devices – and there are many mobile apps that can also tell which are selling the cheapest fuel. For business drivers, however, apps can now also tell users which fuel cards are accepted at different stations. Traditionally drivers have had to use directories telling them where they can fill up, but these become out-of-date very quickly. 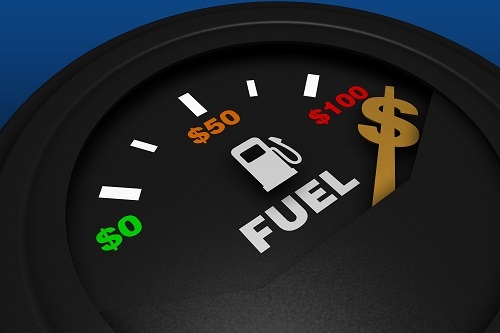 Some apps, such as Fleet One Mobile, Fuelman Mobile Locator, FleetAdvance and CFN Site Locator, will locate gas stations across their specific fuel card networks or help drivers navigate to those that accept the specific fuel card. the pump. With ease the fleet manager can quickly pull clear, up-to-date fuel records for every vehicle in your fleet, which can significantly improve fuel efficiency and spending. Time wasted hunting for somewhere to park can prove extremely costly for business drivers – it can lead to disappointed customers and even lost business. Apps such as Parkopedia however will now locate and direct you to parking all over the US, offering details on opening hours, height restrictions, prices and space availability in real time. Some apps, such as SpotHero, will allow users to reserve spaces on demand. Managing grey fleets – drivers who use their own cars for business – can be a real challenge in terms of accident management, vehicle maintenance and keeping tabs on business mileage for tax purposes. The drivers can utilize the WEBFLEET Logbook, but responsibility is still on companies to enforce maintaining proper vehicle requirements are in place. It’s a company’s duty, for example, to ensure employees hold valid insurance covering them for business use and that their vehicles have a valid inspection sticker. Apps can help this process – whether it’s those developed to keep managers organized and on top of their responsibilities, such as Toodledo, or very specific apps such as Autosist and aCar that require drivers to input data, such as vehicle registration, inspection report, insurance and servicing details, and sends them renewal reminders. Keeping your vehicle fleet moving is a vital business success factor, but breakdowns can prove a significant time resource drain. Business breakdown apps, from organizations such as AAA or on demand, non-membership apps like Urgent.ly, can allow fleet drivers to call for assistance from wherever they breakdown, with the location of the breakdown automatically relayed to the recovery company. Involvement in road traffic collisions can cause great anxiety for drivers, leaving many stressed and disorientated in the immediate aftermath. Apps like AxiKit are available, which can be used to ensure all important information to be recorded – whether in text, photographic or voice formats – on the spot or on their smartphone. Some of these apps will provide guidance on the correct procedures to follow. 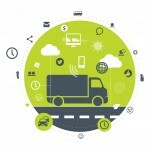 What fleet management apps are saving you the most time and money? We’d like to know what you think – please let us know in the comment section below. Check out our white papers Boost Productivity for Your Business or Reduce the Cost of Running Your Vehicles for additional tips on saving time and becoming more efficient with your fleet. Enhanced driver training and self-driving trucks: Can technology solve the driver shortage?